I am a big fan of Liberty Tana Lawn - that is no secret so getting to work with some of these beautiful Liberty fabrics from Alice Caroline is pretty much the equivalent of sewing heaven. 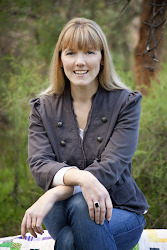 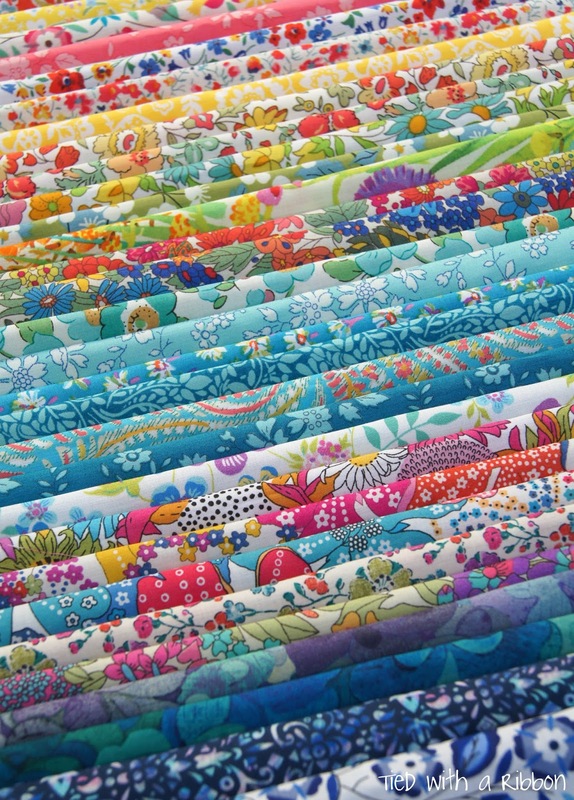 Alice Caroline Fabrics is one of my favourite online stores for Liberty of London fabrics. 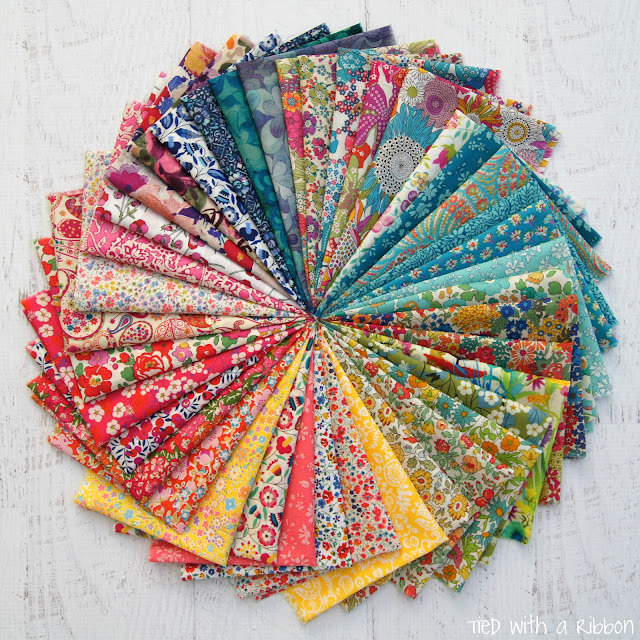 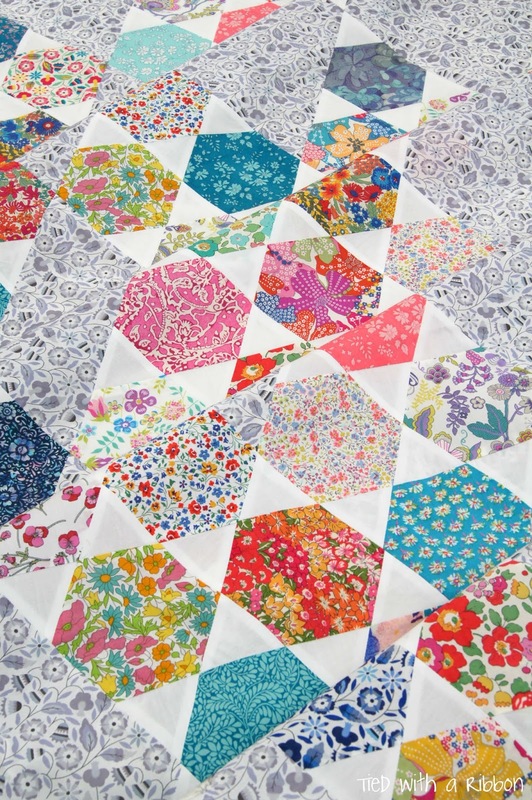 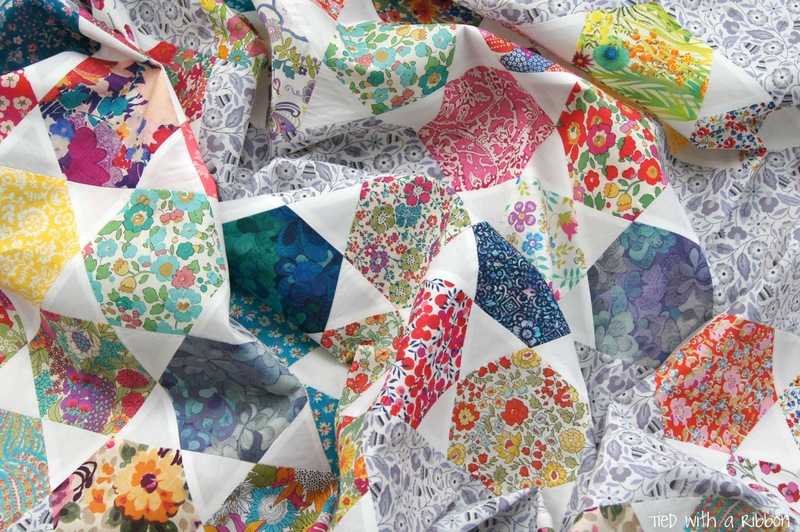 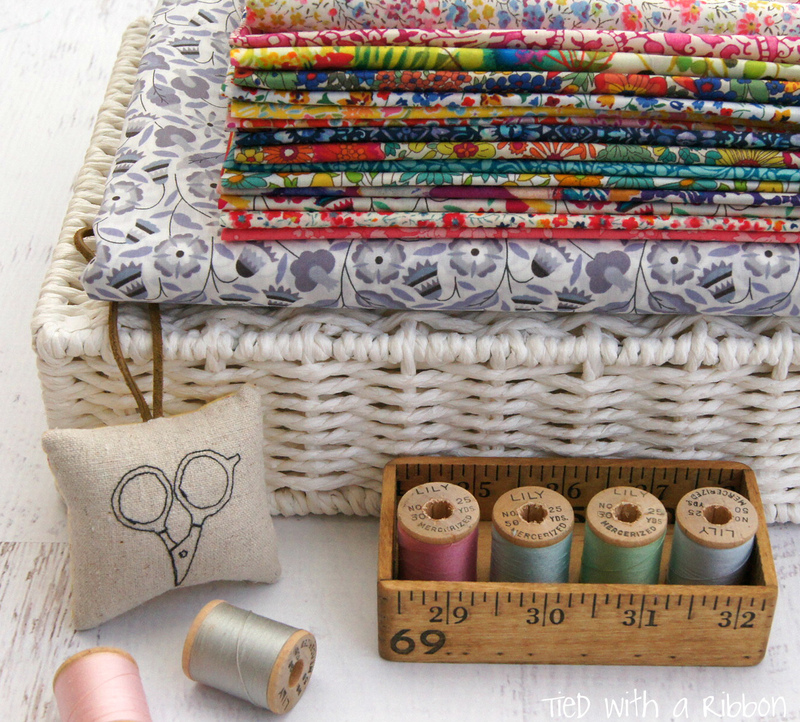 There selection is amazing and this stunning Liberty Rainbow Bundle is set to be made into a quilt I have had on my list to make for a while. They stock all the latest collections and have lots of bundles to choose from to build and grow your own Liberty Collection. 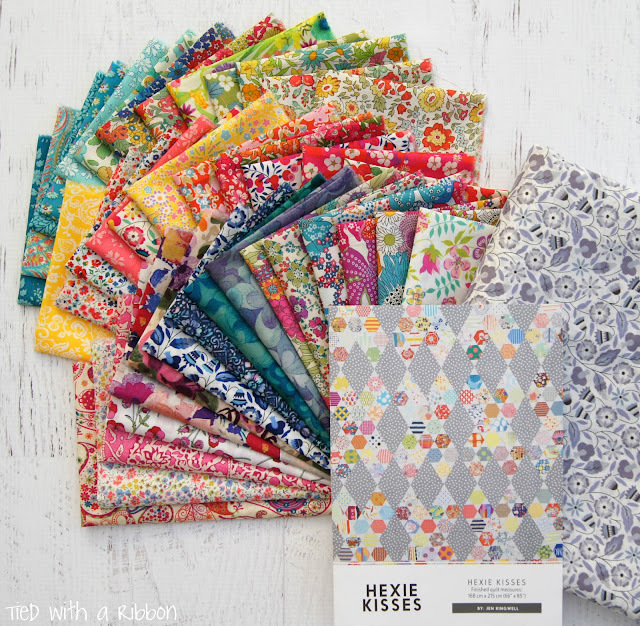 Hexie Kisses by Jen Kingwell has been on my "to make" list for a while and these Liberty fabrics are just perfect for this design. 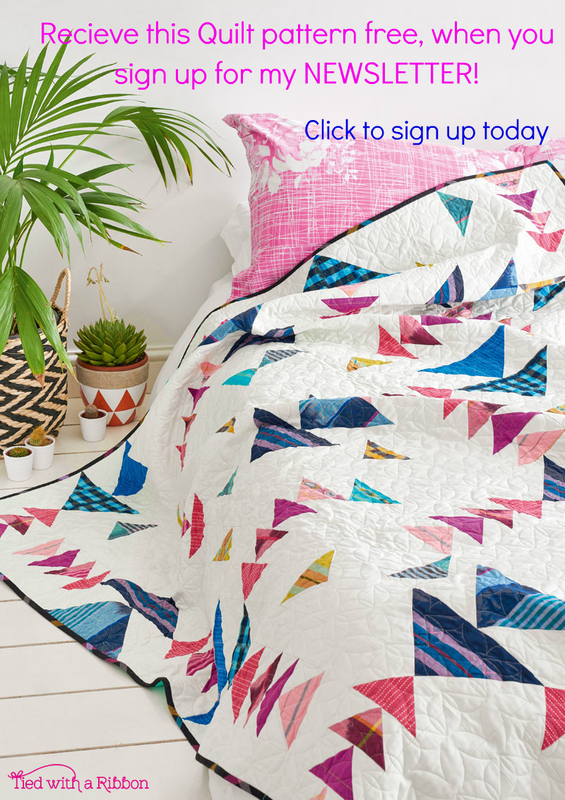 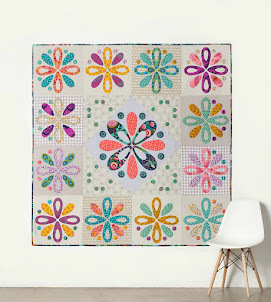 I just love how bright and vibrant these colours and prints are and this quilt will be made for all those Summer nights when there is just a slight chill in the air. 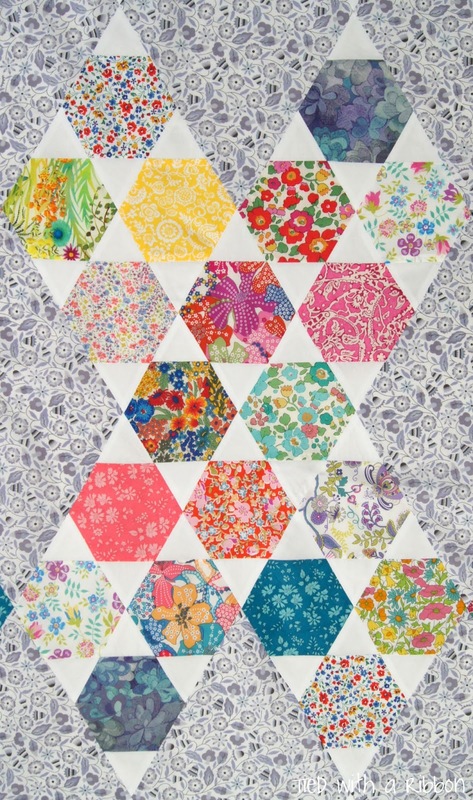 I am using this Grey Bobo as the diamonds for this pattern. 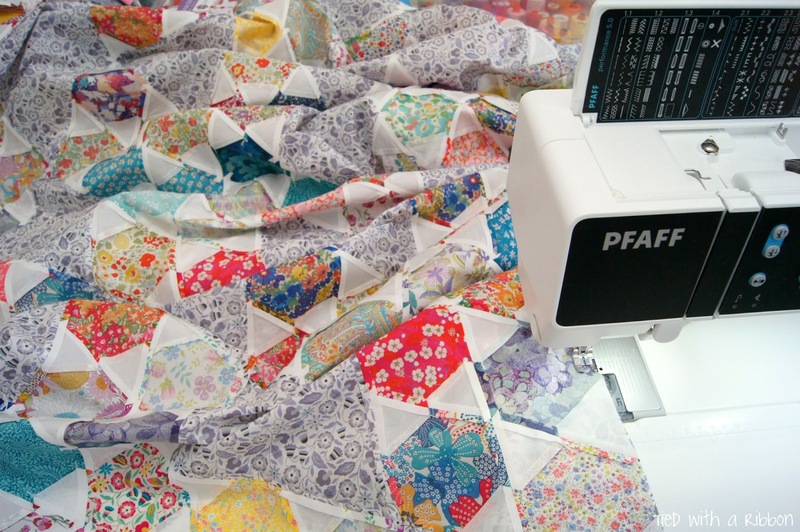 All machine pieced using Auriful thread #2021, the trick with this quilt as all the cuts are sewn on the bias is to starch your quilt as you iron and pin, pin, pin! You can see why it is called Hexie Kisses with the pattern making large X's through the pattern. 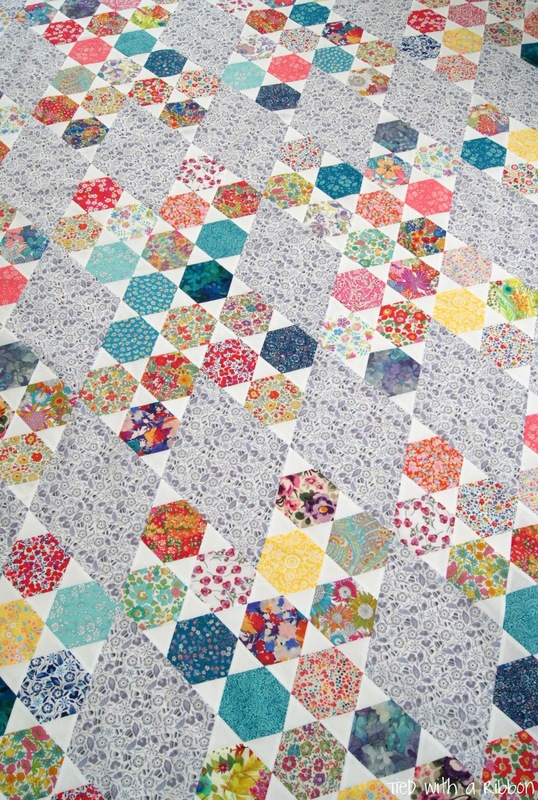 With the quilt top now all together I am sending this off to be professionally Long Arm Quilted. 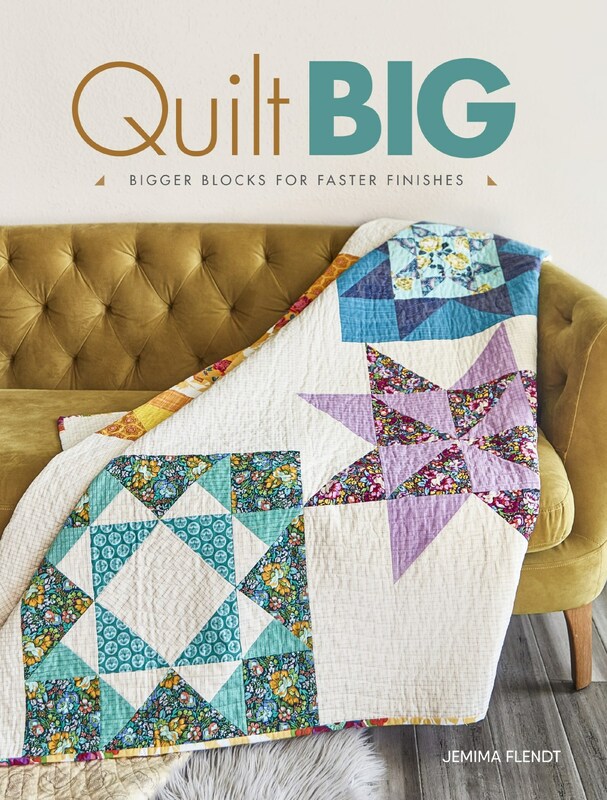 I am going to use Quilt Lite for this project as I want it to be a summer weight quilt which will make it light, soft and drapey. It will fold up quite small with this Batting and it will be just perfect at night when it it just a little cooler through summer.